In a spice grinder or mini food processor, pulse the nori and bonito until finely chopped. Transfer to a small bowl. Add the flaxseeds to the grinder and pulse until very finely crushed. Transfer to the bowl. Stir in the sesame seeds, salt and sugar. 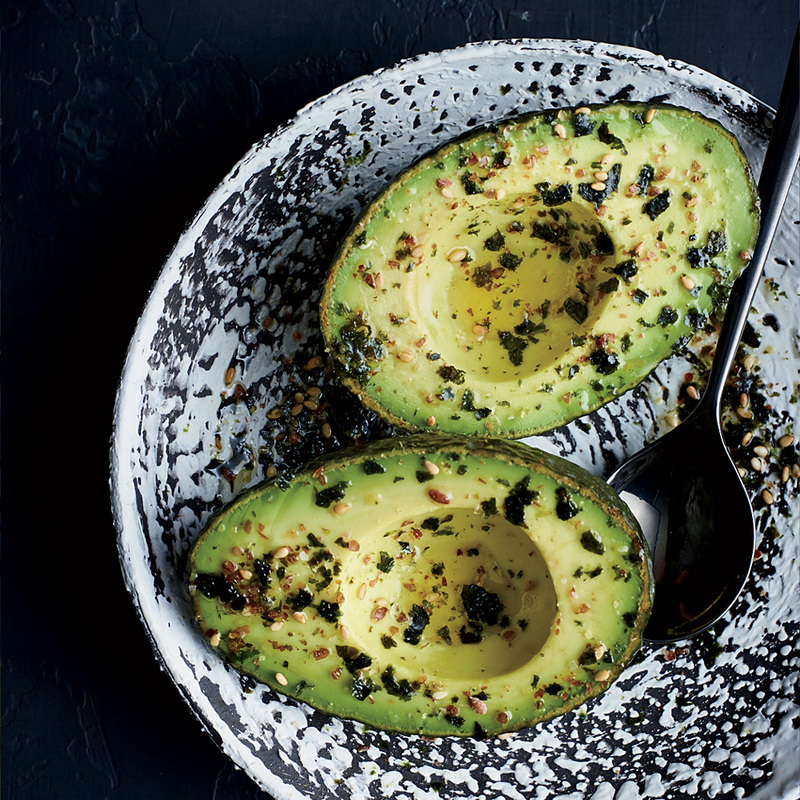 Drizzle the avocado halves with olive oil, sprinkle with some of the flaxseed furikake and serve. The furikake can be stored in an airtight container for up to 3 weeks.